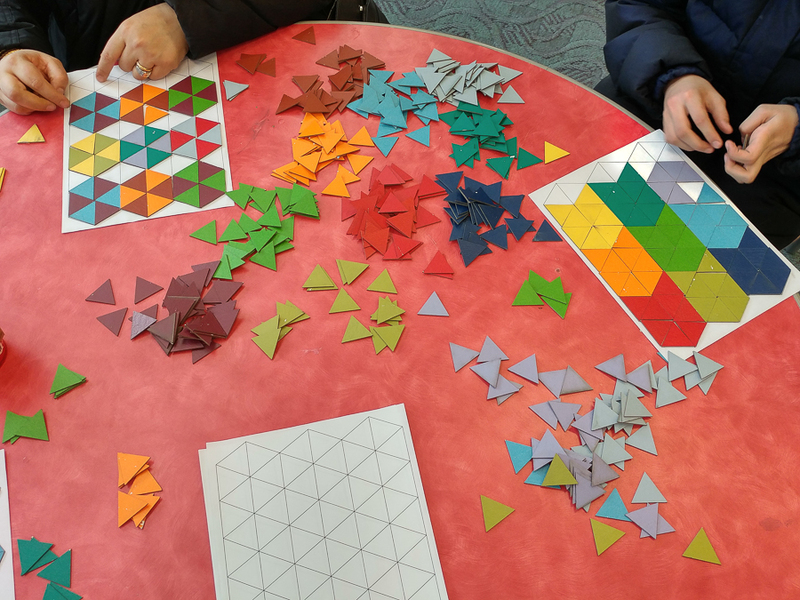 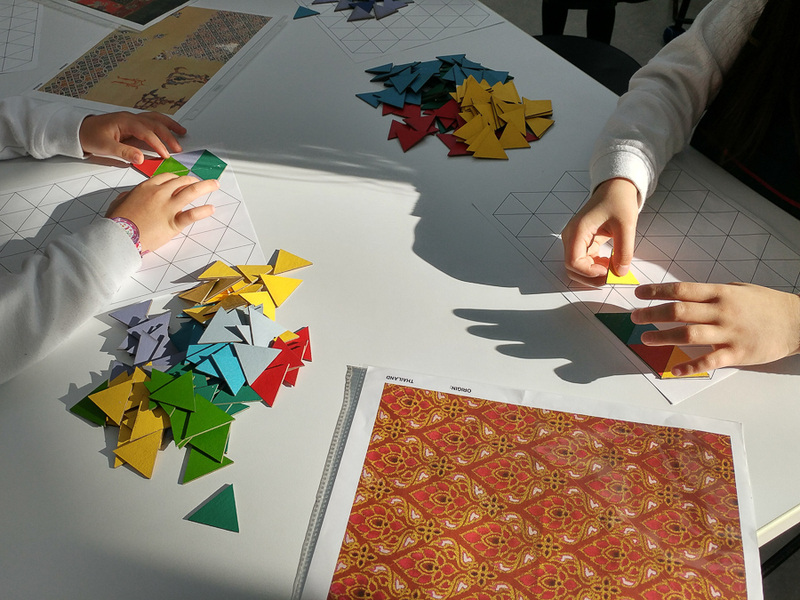 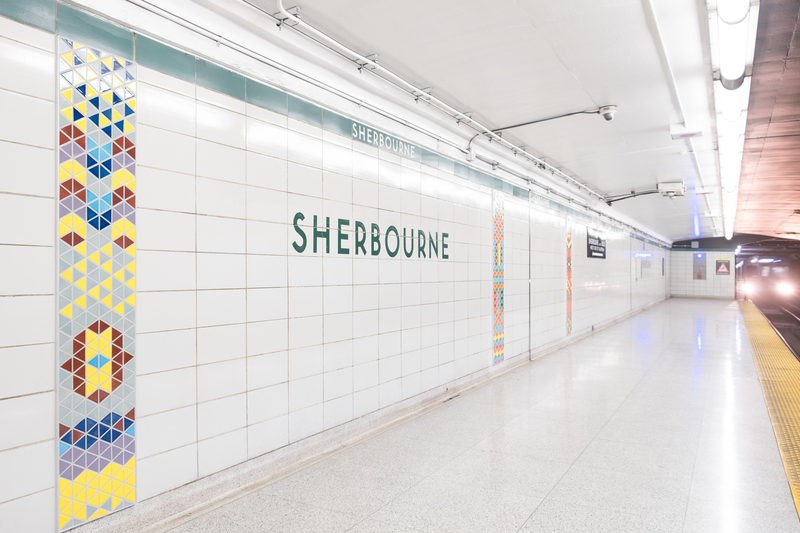 ‘The Whole Is Greater Than The Sum Of Its Parts’ is inspired by the vibrant communities that merge together every day at Sherbourne station. 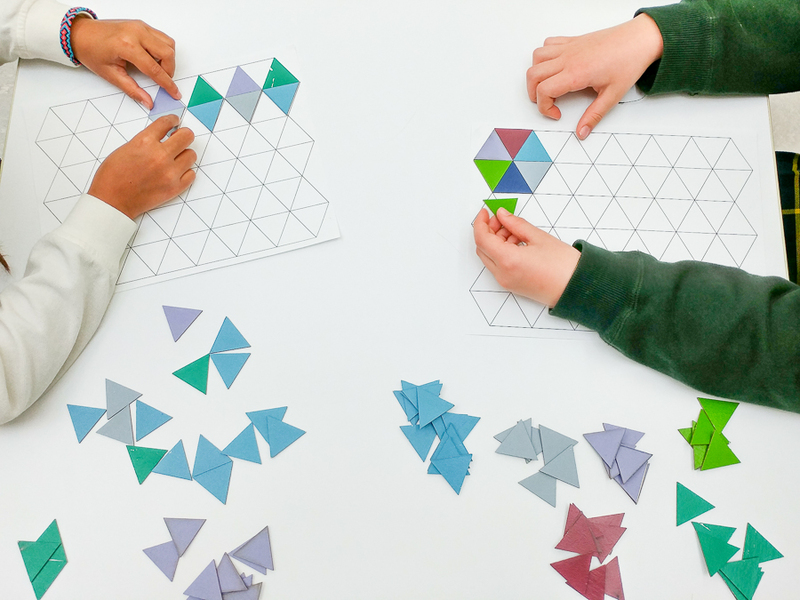 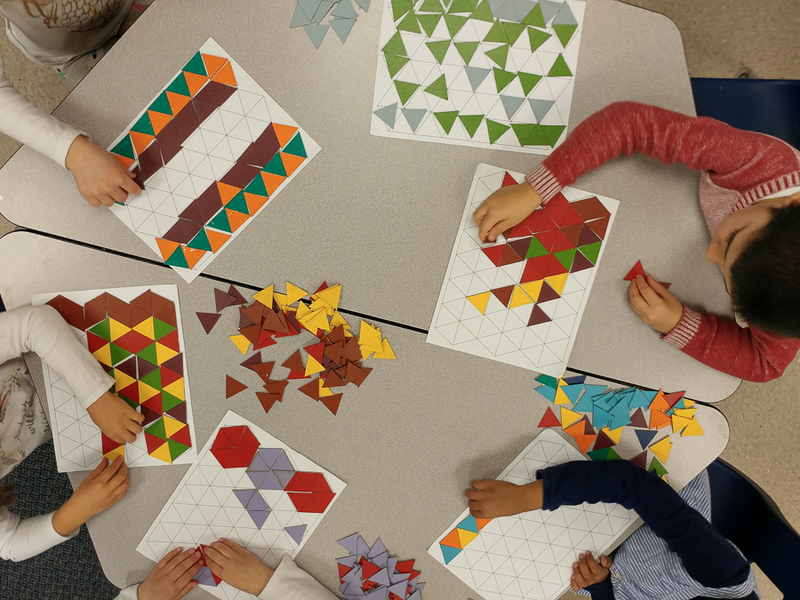 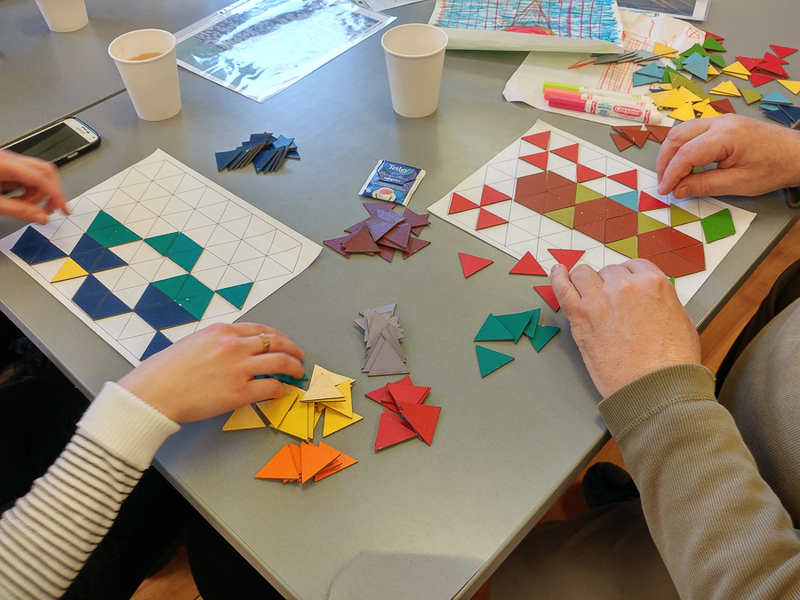 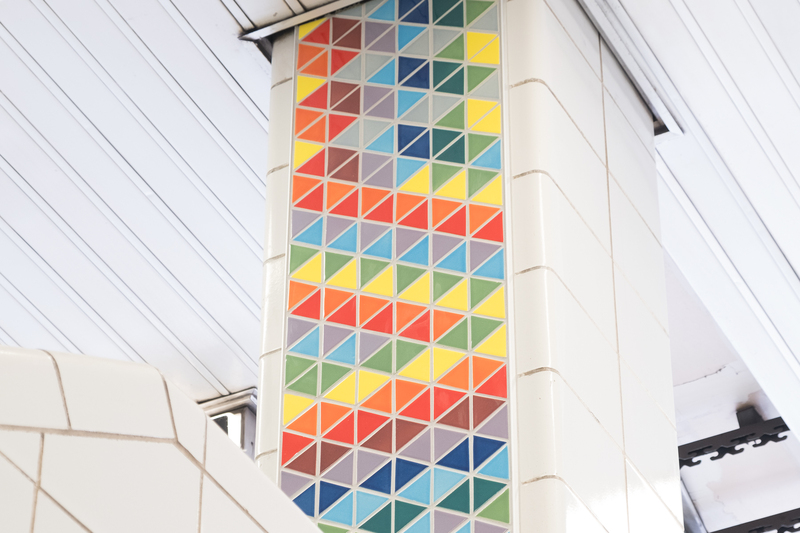 The design of each panel was created by blending together different patterns collected from local public workshops. 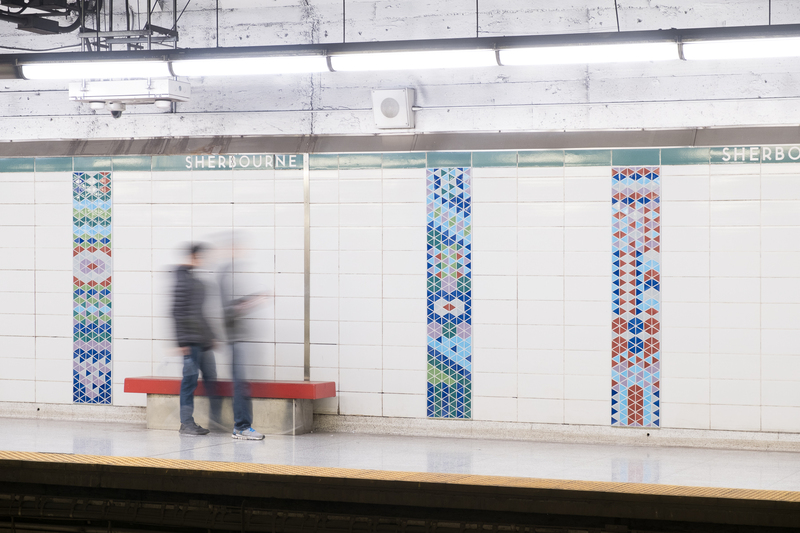 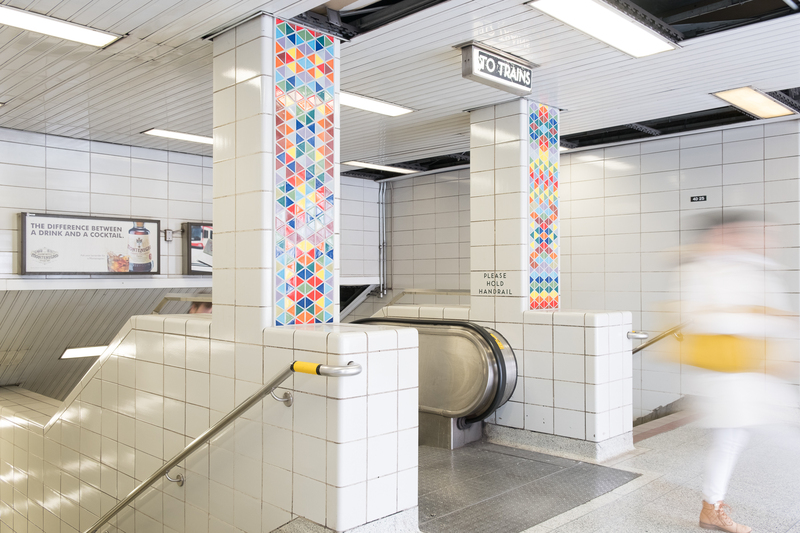 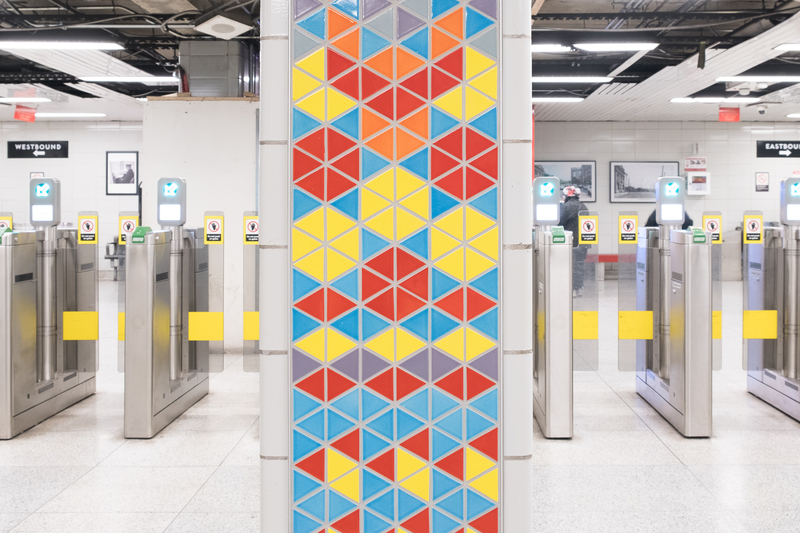 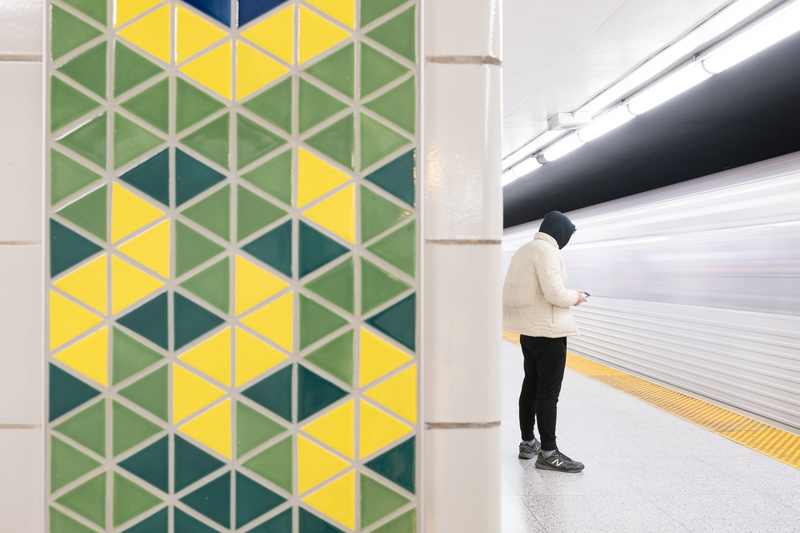 The 39 mosaics located throughout the station welcome commuters in the universal languages of colour and geometry. 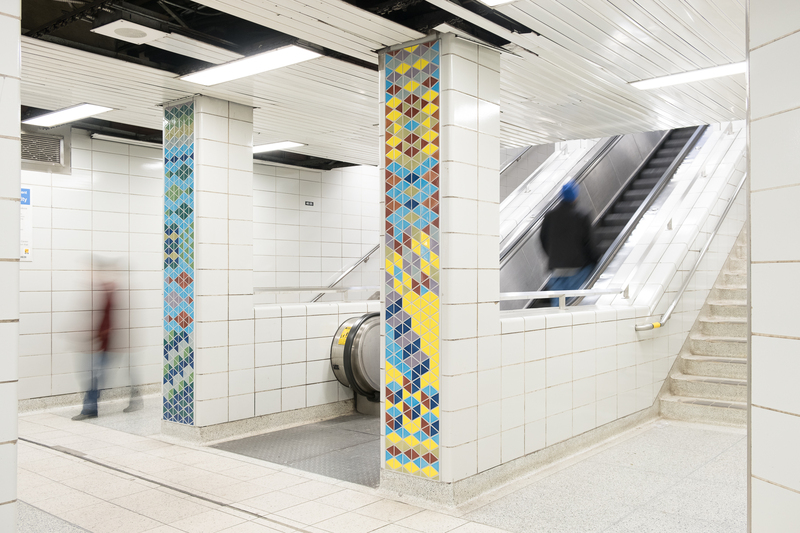 The twelve distinct colours of ceramic tiles reference the bold palette of Tom Thomson, the renowned Canadian landscape painter who once had a studio in the Rosedale Ravine nearby.